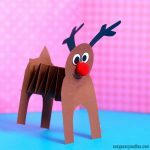 Ho, ho, ho time for a new fun and easy Christmas project – let’s make a paper ball reindeer craft! 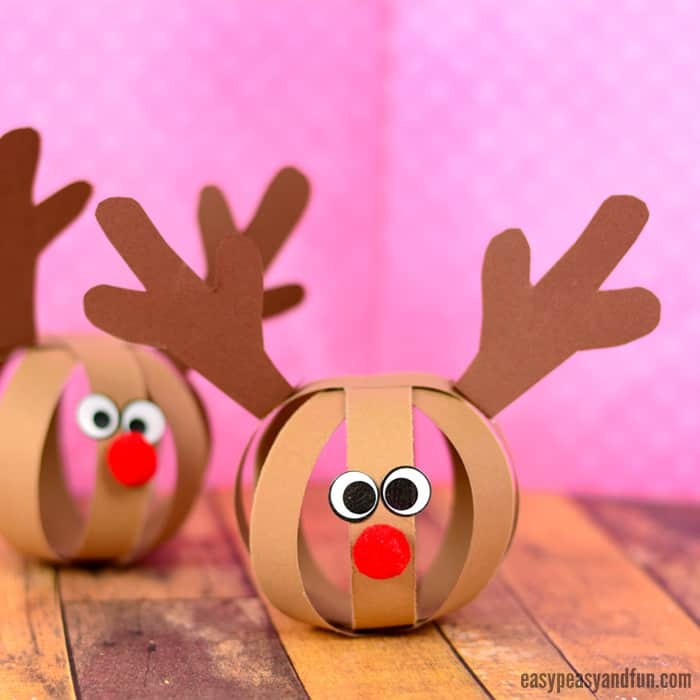 What’s wonderful about these lovely paper balls is that you can turn them into the most adorable Christmas garland ever! We love sharing Christmas craft and art ideas with you, it is after all one of our favorite holidays! So many reasons to be merry! 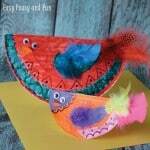 Paper and construction paper is still one of our favorite crafting materials (so many possibilities and quite frugal too! ), and we do love making all kinds of “paper ball cretures” – just check out our paper ball bats or many, many others we already made! 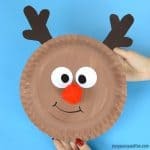 With the festive time of the year approaching, it’s time to look into festive characters, making Rudolph the reindeer was certainly a must. 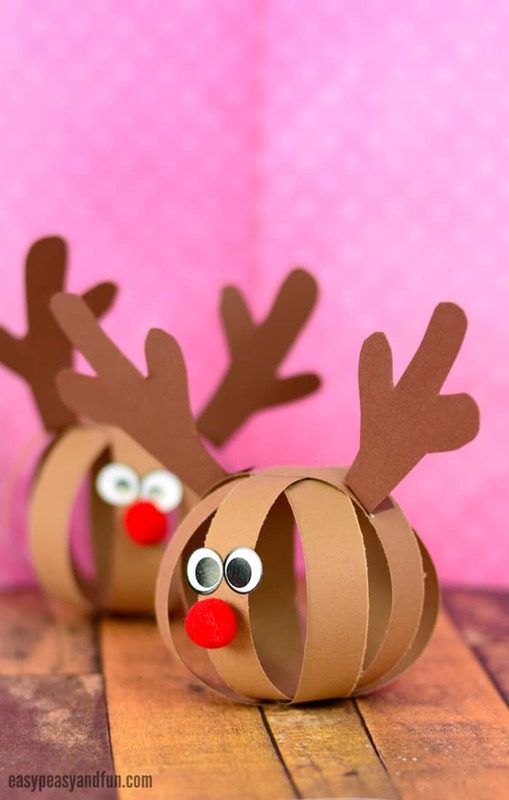 Ready to make your little reindeer? It’s super easy! wiggle eye stickers or googly eyes. Alternatively you can also draw your own. Glitter glue for some magic is always welcome. Once you make one, we would love to see it – be sure to join our Facebook group and share your creations. Cut 4 paper strips. We cut outs across the width of a A4/letter sized paper. Ours were about a “finger” wide. 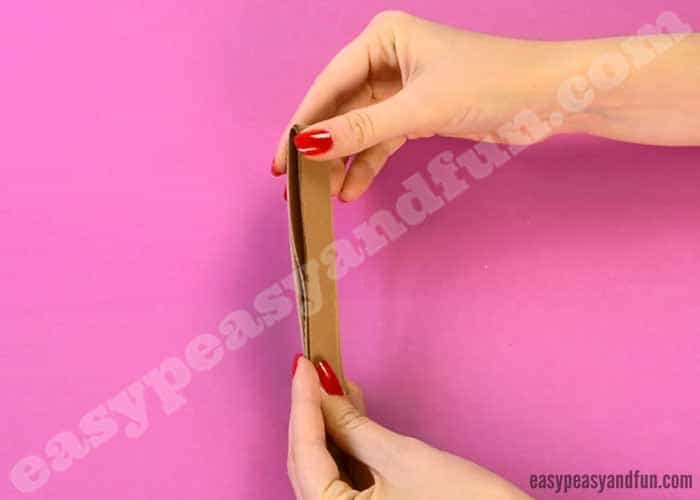 There are no rules as to how long or how wide the paper strips need to be – if your paper strips are longer you might need to use more than 4 paper strips to make a nice, full ball shape. So adjust the project as you go. Younger kids can cut wider paper strips while older can cut thinner paper strips and use more of them. Gently bend them in half, the fold marking the middle of the paper strips. Apply a small amount of glue on the middle of the paper strip. Place another paper strip on top of the first one, centred and at a 90 degree angle. Glue on the other two, evenly spaced. If you have more strips, add more trying to have them as evenly spaced as possible. Next, take one end of one paper strip and apply glue on it. 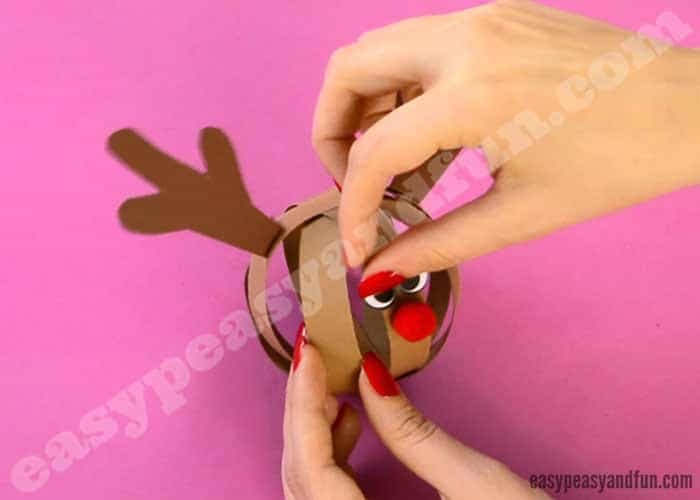 Take the other end of the same paper strip and glue it together with the first end, making a circle loop. Continue with all other paper strips, until you have a nice looking paper ball. Cut antlers out of darker construction paper. Fold them at the bottom end (L shape) and apply glue. Stick them on the top of the paper ball. 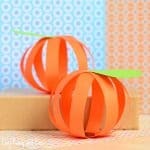 Take a pom pom, add glue and press it onto the paper ball. Add two wiggle eye stickers or googly eyes. All done! 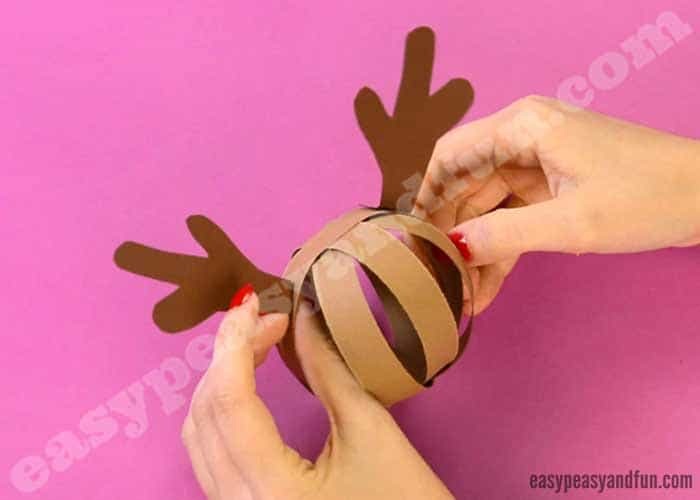 Your Paper Ball Reindeer Craft is complete! 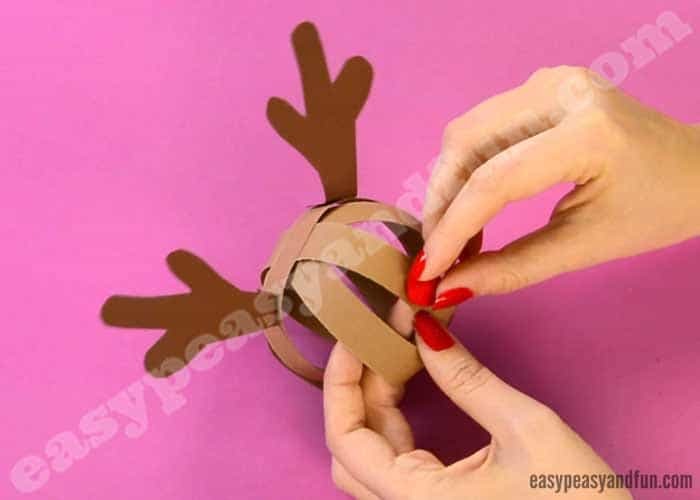 To take this Paper Ball Reindeer Craft even further, why not make a dozen and string them on a thread, making the most wonderful reindeer garland.